ccspringfieldil has no other items for sale. 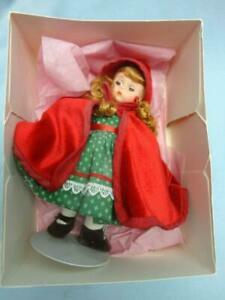 Red Head doll-dress/shoes/tights 8" Madame Alexander-Vogue Ginny Doll Precious! MADAME ALEXANDER Doll DANIELLE BELK ANGEL Doll BELK & LEGGETT Exclusive 8"
Catholic Charities is not just a Catholic agency serving Catholic families. It is an agency with a committed Catholic philosophy that serves anyone in need. Today, Catholic Charities of the Diocese of Springfield in Il operates over 20 programs through its numerous facilities. Each program we minister is based on our commitment to provide professional, quality services so that all people served may experience the mercy and justice entitled to them as children of God. All items are payable within 7 days. Please contact us if there are any problems with payment. We will file an unpaid payment dispute if we have not heard from you within 8 days.